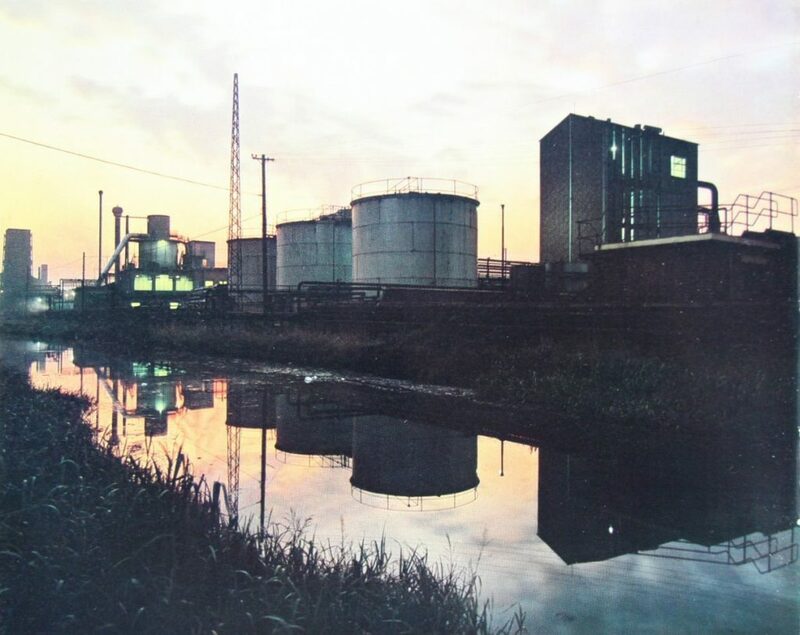 After the First World War, the British Cyanides Company (now British Industrial Plastics) made thiourea, a chemical compound used to silver-gelatin photographic prints and in the vulcanization of rubber. It also gave weighted silks its rustle, as well strengthening the fabric, and was a core market for the company. As fashions changed and demand fell for taffeta and heavy rustling silks, the company was left with large amounts of thiourea. The company were also facing bankruptcy from a massive fall in cyanide sales. 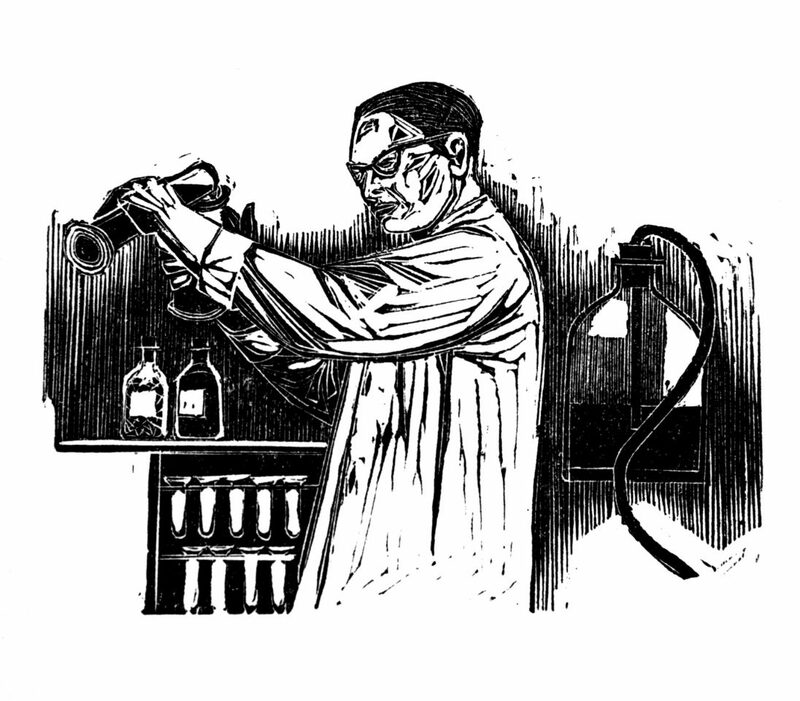 The chief chemist at the firm, Edmund Charles Rossiter came up with the idea of combining thiourea with formaldehyde to produce a new moulding resin, which looked like a watery white syrup. Clear in its pure state, it could be strengthened by cellulose and tinted by numerous pigments to make light, thin, hard, strong, colourful, and translucent articles for the home and kitchen. Its resistance to many chemicals suited it for cosmetics jars and other containers, and its electrical resistance made it desirable for products such as wall outlets and switch plates. The resin set faster, so lower production costs were possible. Sample discs moulded from the resin, compounded with slate-dust, chalk, sawdust or other fillers, were shown at the Wembley Exhibition of 1925. They carried the British Cyanides trademark, a beetle. Thus in 1926 the world’s first white commercial moulding powder was produced in Oldbury and the new product went on display to the public at Harrods in London in 1926. 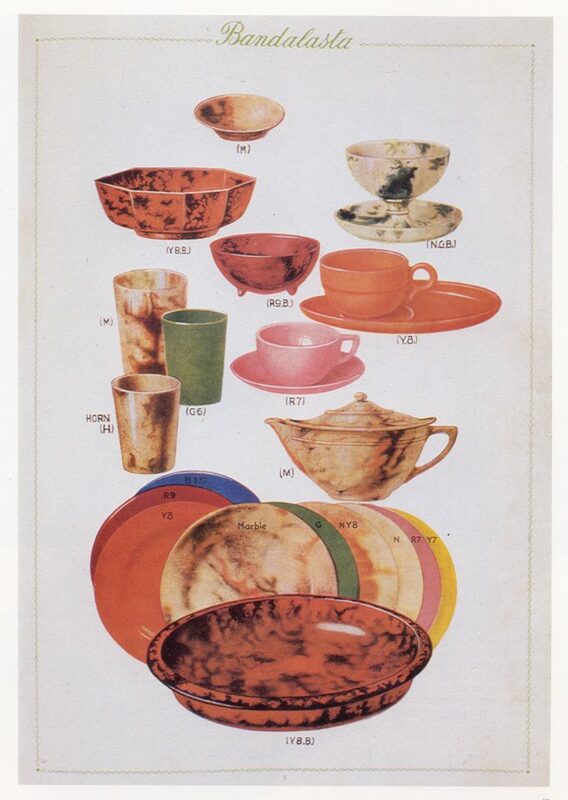 The new cups and saucers in a range of colours and marbeled effects were an immediate success. 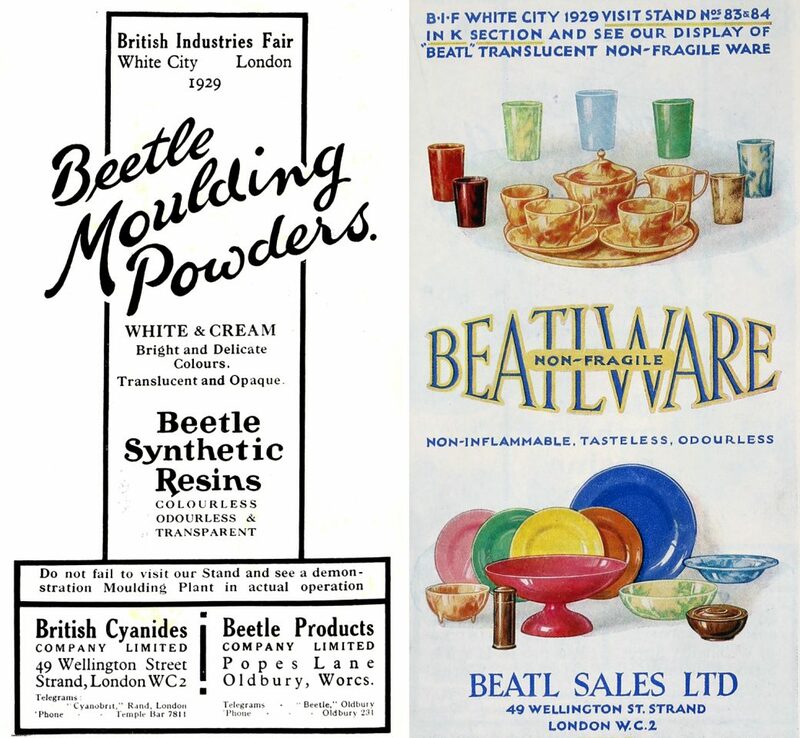 From this pioneering work the famous Banda and Bandalasta trademarks were developed with Brookes and Adams, using as their raw material the Beetle moulding powder. 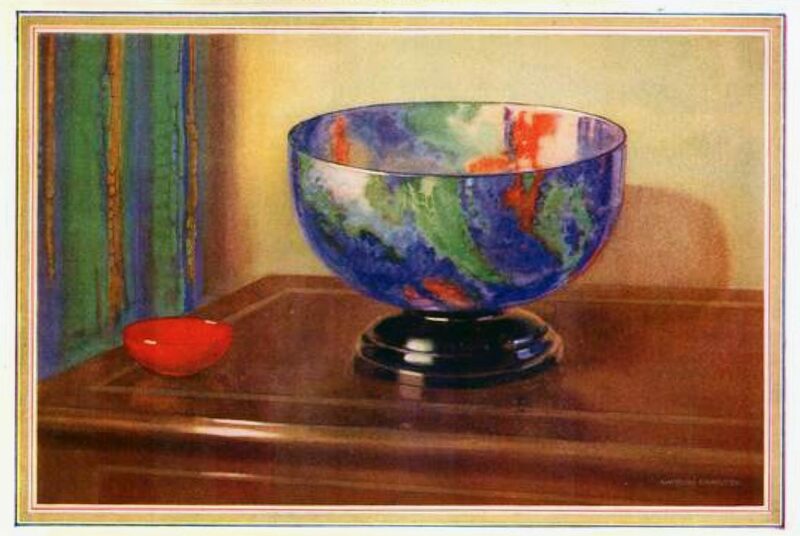 ‘Modern tendencies in decoration need gaily coloured table­ware, and the non ­fragile kinds are made in a galaxy of attractive shades, one of which will be found suitable for all colour schemes, while out­-of-doors each design looks so fresh and attractive that it is difficult indeed to choose the best. In self colours the range varies from a fine ivory tone and pale, translucent pastel shades, up to darker and brighter hues. These latter are especially noteworthy for their delicate appearance, which is seldom found in china­ware unless of superlative quality, for bright colourings tend to make even good ware look heavy. In the Story of B.I.P, Cyril S. Dingley, told the story that as the production of Beetle tableware began, it was believed that customers were not too happy about product being associated with the name of an insect; so the name was changed to Beatl, as suggested by a shareholder as contraction of the phrase ‘Beat All’. At Oldbury, by 1936, the emphasis entirely turned from cyanides to the production of plastics and the company changed its name to British Industrial Plastics (BIP). Dr Terry Daniels has spent all his working life in Oldbury. 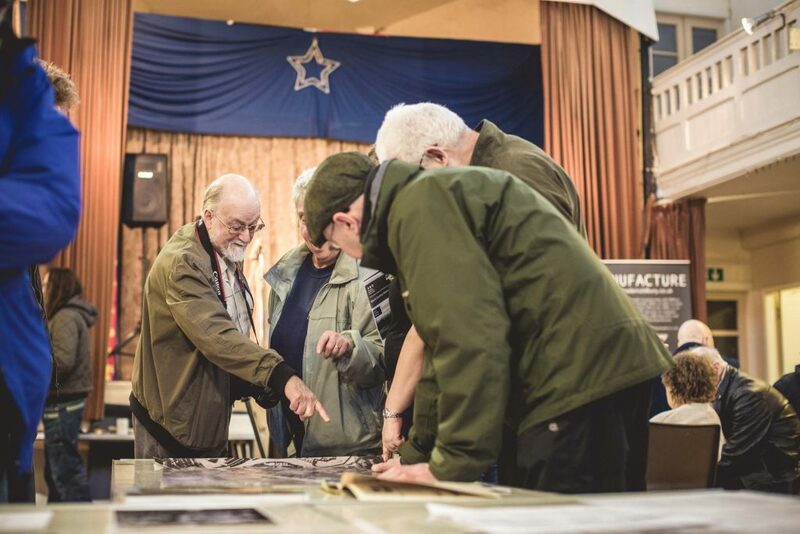 He is Chair of Langley Local History Society and Oldbury Local History Group. British Industrial Plastics is the oldest polymer material manufacturer in the UK, still in operation today.